select *, DATE_FORMAT(birthday, "%b %e, %Y") as _birthday, DATE_FORMAT(died, "%b %e, %Y") as _died, MONTH(birthday) as month_birth, DAY(birthday) as day_birth, DATE_FORMAT(birthday, "%b %e") as _birth_day_month from agatti_people where agatti_people.u_name = "myrna-loy"
Shares birthday with Jack L. Warner, Bill Roberts, Peter O'Toole see more.. 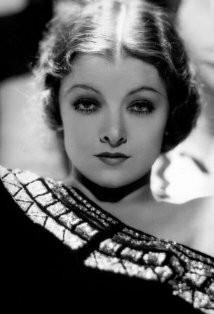 Legendary actress, Myrna Loy, was born Myrna Adele Williams on Aug 2, 1905 in Radersburg, MT. Loy appeared in over 135 film and TV roles. Her best known films include The Thin Man (as Nora Charles), Libeled Lady (as Connie Allenbury), The Best Years of Our Lives (as Milly Stephenson), The Bachelor and the Bobby-Soxer (as Margaret), Mr. Blandings Builds His Dream House (as Muriel Blandings), and Cheaper by the Dozen/Belles on Their Toes (as Lillian Gilbreth). Loy died at the age of 88 on Dec 14, 1993 in New York City, NY and was laid to rest in Forestvale Cemetery in Helena, MT. Myrna Adele Williams was born on August 5th, 1905 on a ranch estate Helena, Montana. Her Father was a successful banker, real estate agent and politician, becoming the youngest man ever elected into the Montana State Legislature. Her mother, Adelle, studied at the American Conservatory of Music in Chicago and would instill her love of the arts into her only child. Because of a particularly harsh winter of 1912, Loy's mother contracted, and almost succumbed to pneumonia. Loy and her mother then relocated to La Jolla, California. It was while living in southern California that the young Myra began taking Dace lessons. Although Loy's father remained in Montana, he visited his family frequently. Loy's mother loved the warm weather and calm seasons of their new home and grew to see the great potential of Southern California real estate. Although she convinced her husband to buy bought land in the sunny state, he had not grown so found of the location, preferring life on the ranch. Eventually, Loy and her mother moved back to Montana. Loy continued her dancing lessons and made her stage debut dancing at the Helena Marlow Theatre. After her father's death of the Spanish Flu in 1918, Loy and her mother permanently reacted to Culver City in Southern California. Loy began to attend the exclusive Westlake School for Girls while continuing to study dance at a Studio in Los Angeles. Because of Westlake's conservative viewpoints, many of Myrna's teachers objected to one of their students talking part in theatre arts. Not wanting her daughter give up on the arts, she enrolled the 15-year-old Myrna at Venice High School. While there, Myrna flourish and began appearing in many of the school's staged productions. At age 18, Loy was forced to leave school in order to help her family with financial matters, gaining employment at the Grauman's Egyptian Theatre as dancer. Loy's unique looks caught the eye of portrait photographer Henry Waxman, who had her model for several photographs. The photographs were then seen by Rudolph Valentino, while waiting in Waxman's office's for a portrait session. He was immediately taken by her beauty. He was in the midst of casting the female lead for the film Cobra and offered Loy a screen test. Although the part went to another actress, Hollywood took notice of the young beauty. She soon made her feature film debut as an uncredited chorus girl in the 1925 film Pretty Ladies. That same year she appeared as an uncredited slave girl in the historical epic Ben-Hur: A Tale of Christ. She was next cast in a small but flashy role in What Price Beauty? The role, simply titled "vamp" played up Loy's unique looks, outfitting the actress in exotic costumes and make-up. Soon after, she was offered a contract to Warner Brothers. Loy's first few years at Warner Brother would shape her early film career as the "exotic other." She often played characters from Asian or East Asian decent despite being of a strictly European background and growing up in the mid-west. In 1926, Loy made small appearances in 9 pictures, including The Caveman, The Love Toy, and Across the Pacific. The next year Loy would appear in 11 films. 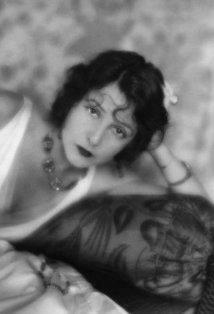 In Finger Prints she once again played a role simply titled "vamp" and in The Heart of Maryland she played a character titles "Mulatta" That year Loy also starred in the comedy Ham and Eggs at the Front, for which she donned blackface. Although considered a normal Hollywood practice at the time, Loy later admitted she deeply regretted have being part of the filmmaking process and called the shameful. She maintained her busy work schedule, acting in eight films in 1928. In six of those film, including A Girl in Every Port, The Crimson City, Pay as You Enter, features Loy as an exotic other. The next year, she starred in eight more films, The Black Watch and The Great Divide, and was officially typecast as the exotic non-American beauty with questionable morals/ethics. In 1932, Loy was cast in the film Thirteen Women. In the film, Loy plays as the villainous half-Hindu, Ursula Georgi, who seeks revenge on her former schoolmates years after they sunned and mocked Asian ancestry. Later that year she also played the maleficent Chinese Princess, Fah Lo See, who sadistic enjoyment of whipping her fathers white captives in The Mask of Fu Manchu. While 1932 had Loy playing her two most villainous roles, that year she was also cast in the musical comedy Love Me Tonight. The role demonstrated Loy's comedic abilities and set the tone for the next phase of her career. After the success of her role in Love Me Tonight, she was cast in more comedic roles. In 1932 she appeared in The Animal Kingdom with Ann Harding and 1933's Topaz opposite John Barrymore. She then starred opposite Roman Novarro in The Barbarian. I934 would mark a turning point in Loy's career. First, she was cast opposite Clark Gable and William Powell in the W.S Van Dyke film Manhattan Melodrama. The film became famous less for it's plot and more for the fact that public enemy was shot to death in a police ambush after leaving the screening. It was reported that Loy was his favorite actress. Loy was cast in what is considered her most iconic role, Nora Charles in the mystery/comedy hybrid, The Thin Man. Studio head, Louis Mayer, hated the idea of casting Loy as the bubbly, comical Nora, feeling Loy was dramatic actress. It was only after director W.S Van Dyke's insistence, and the promised the film would be shot in three weeks, that Mayer finally relented. The film would go on to be a smash hit with both critics and audiences falling in love with the screen's whimsiest couple, Myrna Loy and William Powell. The pair would appear in fourteen films together, including six more Thin Man Installments. With the success of the Thin Man, Loy was no longer Hollywood's go-to Vamp and instead became their go-to comedic actress. In 1936 She starred opposite Clark Gable and Jean Harlow in the farcical comedy Wife vs. Secretary. The film was hit. 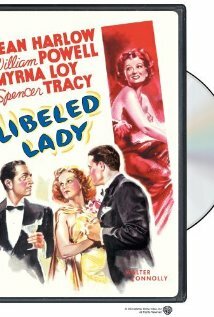 That same year she teamed with William Powell, Spencer Tracy and Jean Harlow in Libeled Lady, playing a ditzy heiress who sues a newspaper for libel. She and William Powell would work together once again that year, this time the second installment of the thin Man series, aptly titled After the Thin Man, featuring a young Jimmy Stewart. The next year she and Powell released another successful comedy, Double Wedding. 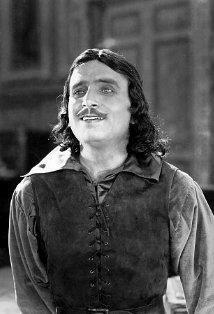 In 1938, starred with Clark Gable and Spencer Tracy in the high-flying drama Test Pilot. At this point in her career, Loy was one of Hollywood most prolific and highest paid actress. On the same public opinion poll that dubbed Clark Gable the "King of Hollywood" Loy was elected The Queen. In 1939 Loy starred opposite Tyrone Power in the romantic drama The Rains Come. She then starred opposite Powell in the comedy of divorce I Love You Again and the next year star, once again, with Powell in Love Crazy. After the next installment of The Thin Man series, The Shadow of the Thin Man, Loy put her career on indefinite hiatus to focus on the war effort. She toured all over the U.S, raising money for the war effort and worked incredibly close with the Red Cross, becoming one of founding members of the Committee for the First Amendment. 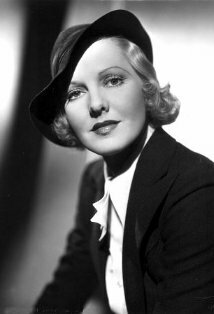 She was also one of Hollywood's most outspoken proponents of Hitler at time when MGM was still trying to maintain its market in Germany. In fact, Loy was so outspoken that she ended up on Hitler's famed blacklist. During this time and for the rest of her career, Loy fought for rights of black actors and for more dignified black representation on film. She would later become the Co-Chairman of the Advisory Council of the National Committee Against Discrimination in Housing. 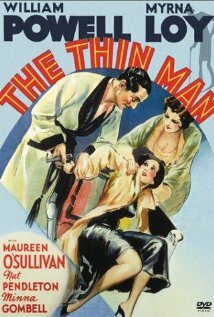 After the end of the war, Loy returned to acting in 1945 with The Thin Man Goes Home. 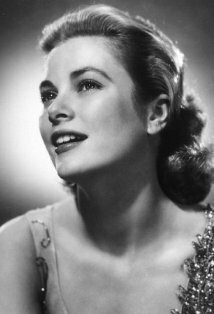 The next year she appeared in the William Wyler post-WWII drama The Best Years of Our Lives. In the film Loy plays Milly Stephenson, the empathetic wife of returning WWII veteran Fredric March. She considers this film her crowning achievement of her illustrious career. In 1947 She starred opposite Cary Grant and Shirley Temple in The Bachelor and the Bobby-soxer. The film was massive hit and was immediately followed by another Loy/Grant pairing, 1948's Mr. Blanding Builds His Dream House. The next year Loy starred opposite Robert Mitchum in the family Western The Red Pony. In 1950, Loy would once again play her now signature role of "the perfect wife" opposite Clifton Webb in Cheaper By the Dozen. By the start of 1950's, Loy's popularity as a leading across was waning. 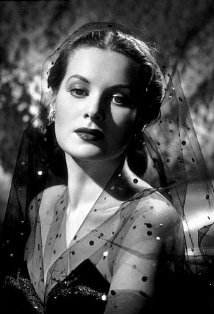 After starring in the Cheaper by the Dozen sequel, Belles on Their Toes in 1952, Loy took a four year hiatus from the screen, only to return with a supporting role in the forgettable The Ambassador's Daughter. 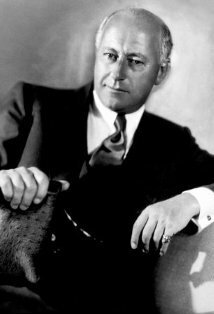 After that Loy began appearing more the television screen than the silver one, acting in series such as General Electric Theatre and Schlitz Playhouse of Stars. 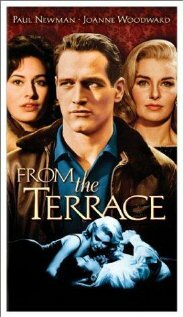 In 1960, She appeared in alongside Paul Newman and Joanne Woodward in From The Terrace before returning to the small screen, where she remained for much of the 1960's and 70's making the occasional big screen appearance. In 1974 she appeared in airport 1975 as the boozy Mrs. Devane. In 1980 she made her final theatrical film appearance in the Sidney Lumet film, Just Tell Me What You Want. The next year, she made her final film appearance in the television drama, Summer Solstice opposite Henry Fonda. In1987 Loy released her autobiography Myrna Loy: Being and Becoming. For all her work and popularity, Myrna Loy was never nominated for an Oscar, a travesty that was rectified in 1991 when she received an Honorary Oscar for Lifetime achievement. Her speech, accepted from her New York City apartment, was simple and humble: You've made me very happy. Thank you very much." Myrna Loy died on December 14, 1993 in her New York City home. She was 88 years old. She was honored with one star on the Hollywood Walk of Fame in the category of Motion Pictures. Myrna Loy's handprints and footprints were 'set in stone' at Grauman's Chinese Theater during imprint ceremony #32 on Oct 20, 1936. Loy was never nominated for an Academy Award. However she won one Honorary Award in 1990 in recognition of her extraordinary qualities both on screen and off, with appreciation for a lifetime's worth of indelible performances . is still in the competition! Aunt Bea: If he cares enough, he'll find me. 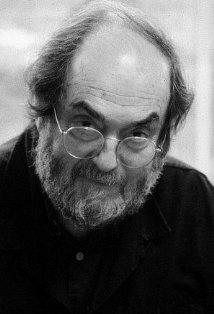 Al Stephenson: We don't need to worry about that child. She can take care of herself. Milly Stephenson: That's what she thinks. Richard Nugent: Thank you, Your Honor, may I go? Judge Margaret Turner: You've just got here, don't you like our court? 'Caterina Williams' is sometimes quoted as her real name. 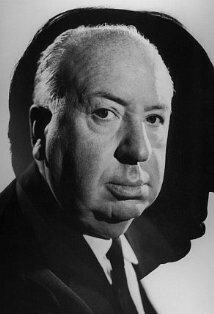 Turned down the role of Ellie Andrews in It Happened One Night (1934). Claudette Colbert was given the part and went on to win the Best Actress Oscar for her performance. Underwent two mastectomies after being diagnosed with breast cancer twice.